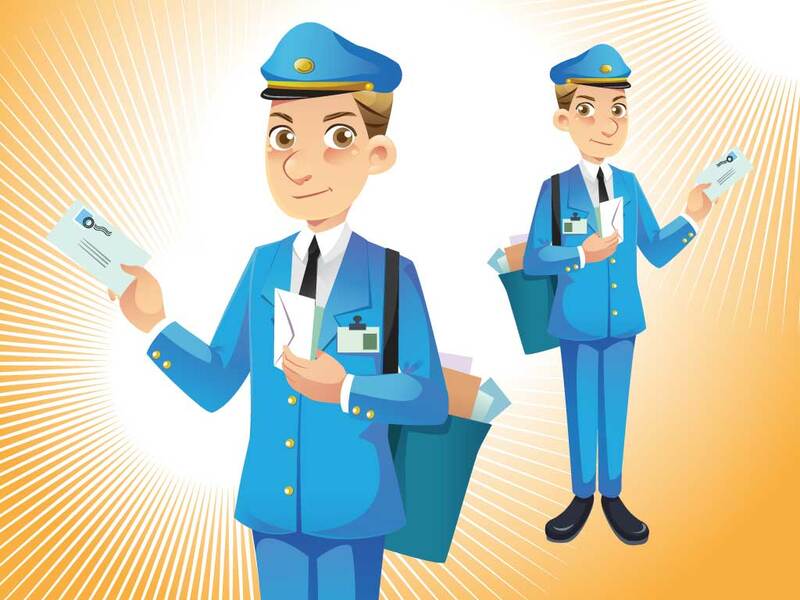 Download this cartoon postal worker for your kid friendly or postal designs. A great comic character that will look good in print or on a website. Available as AI and PDF. Tags: Cartoon, Letter, Mail, Mail Carrier, Mailman, Man, Postal Worker.